This tour is a 5 ½ hour exploration of the magnificent Na Pali - one of the most beautiful coastlines on earth and only accessible by foot or by sea. This sailing adventure gets an early departure from Port Allen on the West shore of Kauai. As you head towards Na Pali you’ll see views of the secret island of Niihau, Polihale and the ridges of Kokee. The morning departure generally means you have calmer conditions and virtually ensures an encounter with a massive pod of Hawaiian Spinner dolphins that cruise up the coast daily. 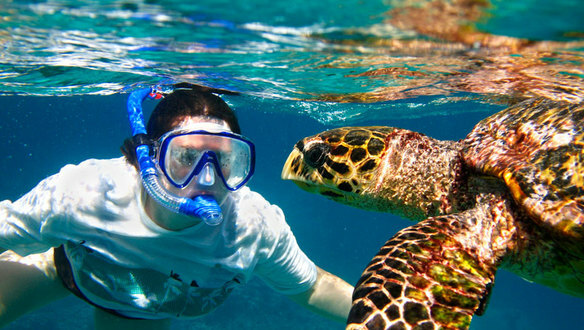 After a relaxing and beautiful downwind sail, you'll pull into one of my favorite remote snorkel spots. Here you will anchor and get in the water for some snorkeling, or simply relax. After snorkeling the crew prepares a delicious BBQ lunch in the on-board kitchen served with beer and wine (only available after snorkeling). 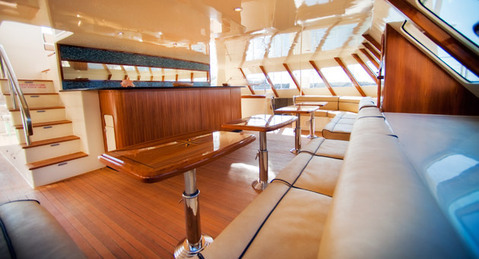 Then you will cruise home farther off shore for magnificent 360 degree views. Includes: Snorkel gear and instruction, continental breakfast, BBQ lunch, drinks (beer and wine) and dessert. Passengers will enjoy the vessel almost as much as the views outside the fully custom 65-foot luxury sailing catamaran that is simply the premier ship of the Na Pali Coast. I suggest bringing layers, you can always change onboard. 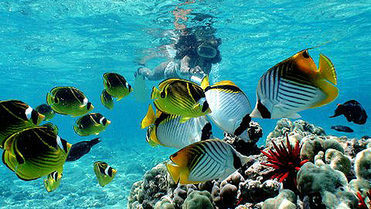 Wear/Bring: Snorkel gear including soft silicone masks, corrective lenses, “dry” snorkels, and fins are provided. Bring swimsuits, towels, sunscreen and jackets. I recommend layered clothing for comfort in any weather conditions. You can always change on board. When: Daily from Port Allen at 8am (check-in is 45 min prior). These experienced captains and crew are focused on providing the most enjoyable experience for my guests. Tour destinations and snorkeling stops will be determined based on weather and sea conditions for otimum passenger comfort and safety. Breakfast: Assorted pastries, fruit, juice and coffee. BBQ Lunch: Your choice: chicken or vegetarian burger, cole slaw and baked beans. * Vegan/Gluten Free: Grilled vegetable skewers with quinoa mango medley. - Requests for this option need to be called in or emailed at least 24 hours prior to tour time. Drinks: Cocktails (beer and wine) soft drinks and water included. No third trimester pregnancies. No children under 2 years. Guest must be able to manage stairs.